Léo DelafontaineThe Emperor George II. Imagine escaping the confines of bureaucracy and founding your own state, where you make all the rules. A micronation is a piece of land that claims to be an independent or sovereign nation, but is not recognised by world governments. They are founded for many reasons, some as protests, some to boost tourism, and some just for fun. Reports put the number of current micronations at over 400. Photographer Leó Delafontaine found himself fascinated by these places and began photographing them in 2012, visiting six countries and three continents to capture 12 unique micronations. 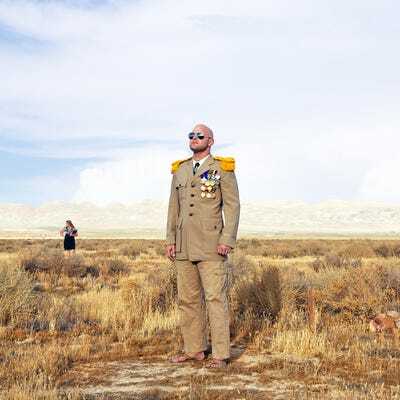 While the photographs are humorous at times, Delafontaine hopes viewers come away from the series with both “the desire to laugh and the need to think about the geopolitical, national, and cultural questions that micronations generate,” he tells Business Insider. Delafontaine shared the following images with us. You can see more on his website or purchase the book of the series, out now on Diaphane Editions. 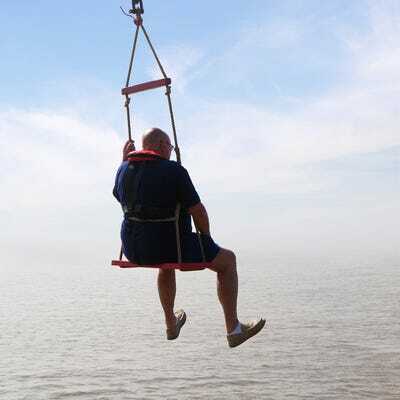 The first micronation that Delafontaine discovered and photographed was the Principality of Sealand. 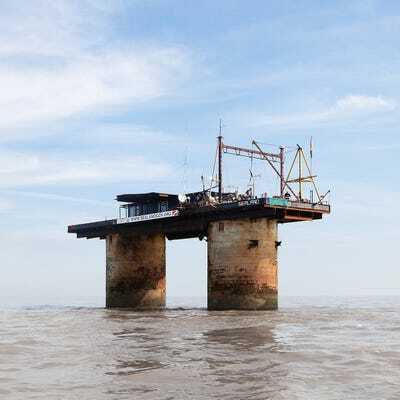 Located on an abandoned WWII military platform about 8 miles off the coast of Great Britain in international waters, the micronation was first established in 1967 by Paddy Roy Bates in order to emit pirate radio broadcasts. With a living area of 5,920 square feet, Sealand boasts multiple bedrooms, a chapel and a prison. Prince Michael, seen below, is Paddy Roy Bates's son and took over control of Sealand in 1999. Sealand has its own flag, its own currency, and even issues passports. After an electrical fire damaged the facility in 2006, Prince Michael attempted to sell the platform for $906 million, sources say. Finding no buyer, Sealand's government and the Bates family have decided to renovate the base and keep it for themselves, making sure the Principality lives on. It currently has a population of four. While researching Sealand, Delafontaine discovered that micronations existed all over the world. 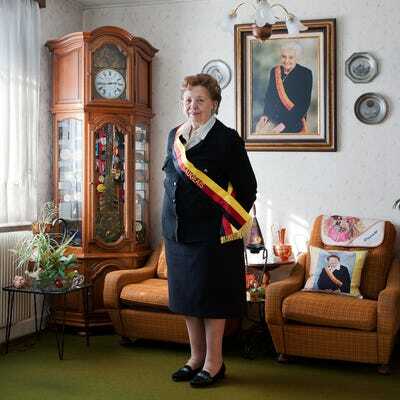 He decided to create an entire series of photographs of various micronations, focusing on active ones with rich histories and land holdings (some micronations only exist online). 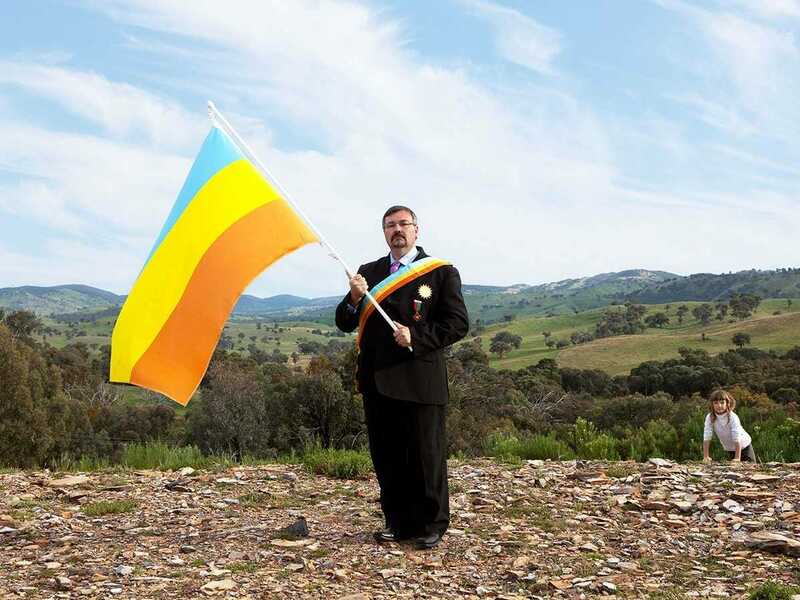 His next stop was Saugeais, a micronation in Delafontaine's home country of France. Georgette Bertin-Pourchet, President of the Republic of Saugeais. 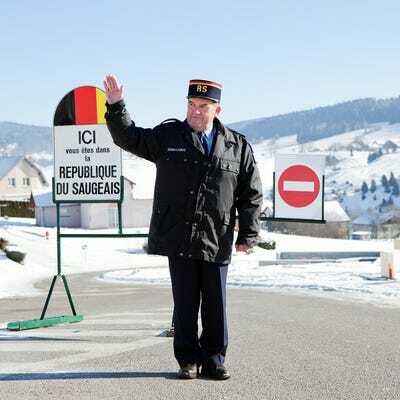 Near the French-Swiss border, the Republic of Saugeais is made up of 11 towns and was founded in 1947 as a joke. Today, it acts as a popular tourist attraction, issuing entrance passes and selling official stamps. Travis McHenry, seen below, founded his first micronation at the age of 15. 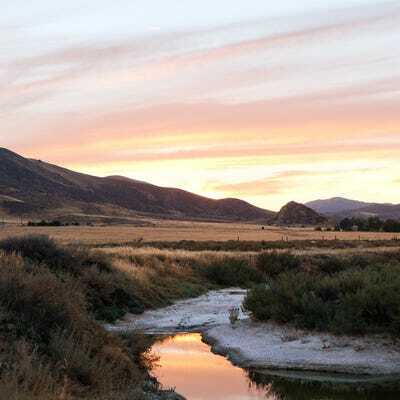 Since then, he has founded three, the latest one being southern California's Calsahara (a combination of 'California' and 'Sahara'), which he claimed in 2009 on a 9.5-square-mile tract of land given to him by his grandmother. Travis McHenry or Montague Ier, King of Calsahara. Calsahara is about a 3-hour drive from Los Angeles and currently boasts between three and ten citizens. The micronation has its own stamp and currency, both of which feature McHenry's smiling portrait. The Consulate of La Boirie was founded in 2006 by three friends, Phillipe, Pascal, and Sebastien, who share a love of French history, geography, and politics. The Consul Pascalux de la Boirie. Their seven-hectare nation in France has its own calendar, list of ceremonies, and a bed and breakfast where guests can stay the night. They regularly hold parties and balls, and generally believe in the virtues of hedonism and eco-citizenship. The consul Philippéon de la Boirie. In 1982, when a Border Patrol checkpoint began to create massive traffic jams near the beginning of Route 1 -- the only main access to the Florida Key -- Key West Mayor Dennis Wardlow declared a secession from the US and formed the Conch Republic as a tongue-in-cheek form of protest against the roadblock. 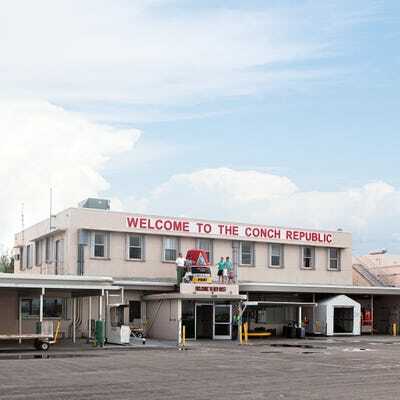 Today, The Conch Republic remains mostly as a tourist attraction. Every April 23rd, proud citizens and interested tourists celebrate the Republic's 'Independence Day,' which kicks off a weeklong festival. Sir Peter Anderson, Secretary general of the Conch Republic. 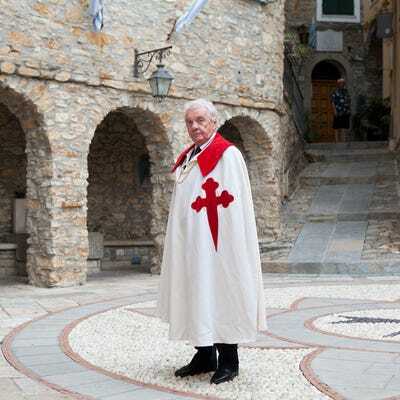 The Principality of Seborga in Italy is one of the oldest surviving micronations on the planet, in a manner of speaking. In 1960, local florist Giorgio Carbone began circulating the idea that the township had never been claimed as part of Italy, citing many historical documents, including Italy's Act of Unification from 1861, in which Seborga is not included. The Baron André Triquet de Tintignac of Seborga. While the government of Italy does not observe Seborga's independence, the town still claims its sovereignty, mostly as a tourist attraction. While Delafontaine says all micronations 'have their own reasons to exist,' he admits that tourism is a strong benefit for most. Gianni Trucchi, guard of the Principality of Seborga. In 1981, three Australian teenagers claimed 110 square feet of a Sydney suburb and found the Empire of Atlantium, renaming one of them 'Emperor George II' and giving him the role of ruler. Since then, Atlantium has survived as a unique micronation, one that does not want to secede from its mother nation, but rather exists in order to create a dialogue. It seems to have worked, at least by way of media exposure. Emperor George II (who's real name is George Cruickshank) has become, to some, a voice for the Left in Australia, though his actual impact is up for debate. The Emperor has also become an expert and ambassador for all micronations, serving as the president of PoliNations, the annual conference of micronation leaders. Television interview of the Emperor of Atlantium. 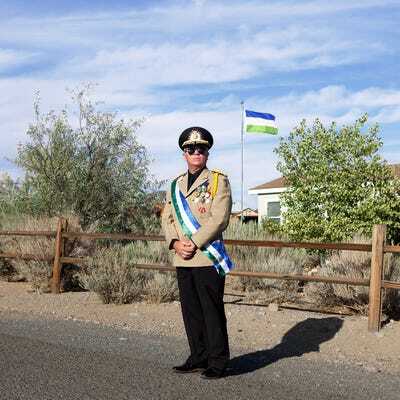 One of the most famous micronations in the US is the Republic of Molossia, a parcel of 1.3 acres in the desert town of Dayton, Nevada, originally founded by three teenagers in 1977. 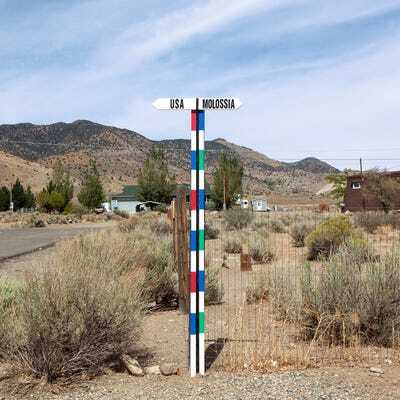 The border between Molossia and the US. After going through many regime and name changes since its inception as the Grand Republic of Vuldstein, current prime minister Kevin Baugh has dedicated himself to the nation, creating a post office, customs, signs, and his own TV channel. The post office of Molossia. 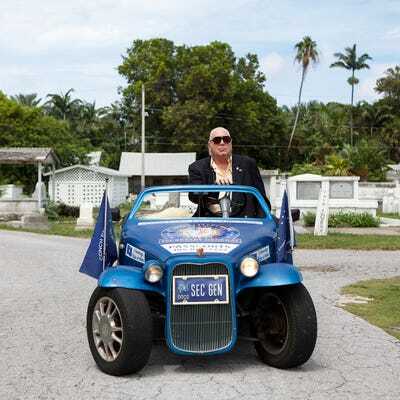 Baugh has gained fame within the micronation community, and many others have formed nations using him as a role model. 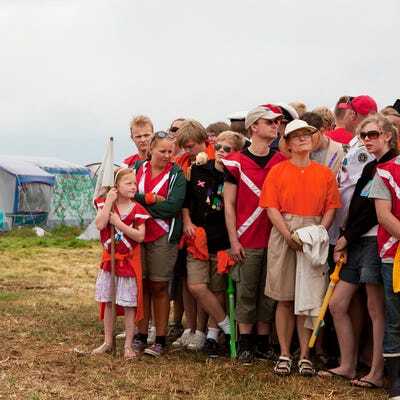 He is active in the micronation scene, including creating the first Micronation Olympic games, where he won gold medal in Frisbee. The history of the kingdom is taught in Danish schools, and citizens have created songs, dances, and even their own sport, called 'Cracket.' Delafontaine explains that all members of the micronations he visited were very proud of their citizenship. 'If they weren't, why would they be part of it?' he asks. Frederikke Rose Holm, Julie Holstein, Nanna Gilsgaard, Christine Barnett and Bolette Winnerskjold Gjaldbæk, the 'Butterflies' of the Kingdom of Elleore. Want to see more strange and interesting places around the world?